Mike Modano grew up around Detroit, learned his hockey in Detroit, and now, at the end of his career, has returned to Detroit. These stories usually work out one of two ways: fairy tale or nightmare. Modano is 40, and there aren’t many hockey players his age left in the NHL. Fans hoped – hey, maybe Modano hoped – that in signing with the Red Wings, the team he’d rooted for as a kid, the hometown swan song would energize him. And in his first game with the Red Wings, he had a goal. Fans cheered. 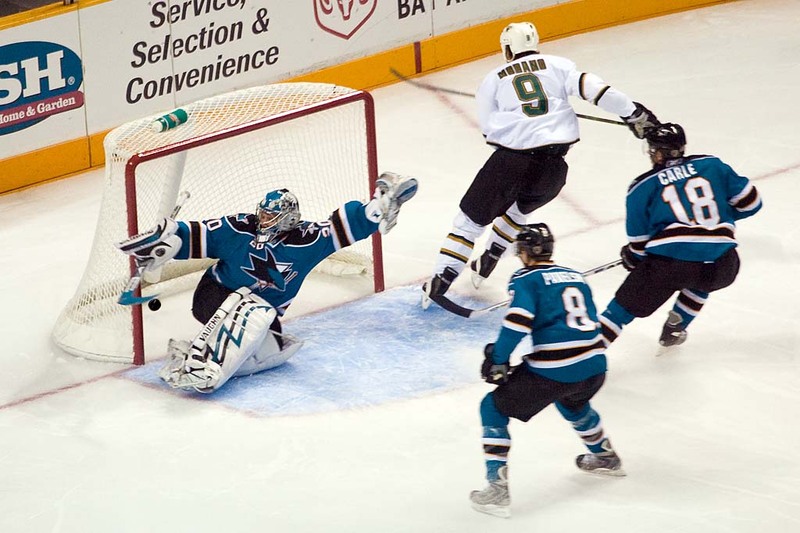 In his first nine contests, Modano has that one puck in the net and no other points. He’s minus seven in plus-minus. Mike Babcock, his coach, has already shaken up his line. And you hope Babcock doesn’t come to the conclusion that sometimes accompanies these late career homecomings: the guy doesn’t have it anymore. Modano is a good guy and you want him to do well. What fate and age have in mind is another story. This entry was posted on Monday, November 1st, 2010 at 3:12 pm and is filed under NHL. You can follow any responses to this entry through the RSS 2.0 feed. Both comments and pings are currently closed.